heads of many at the Mobile World Congress trade show at Barcelona, Spain in February. The South Korea-based tech company is now rolling out the handsets worldwide. Filipinos are lucky enough to get their hands on these mid-range smartphones. I dropped by at the launching of these mobile phones, dubbed as “L Park: The L Series III” event, held at the TriNoma Activity Center last May 3, 2014. LG managed to cook up an event that did not only showcase its smartphones but full of activities that consumers surely enjoyed. It was such a fun-filled event inspired by the adventurous spirit and creativity of today’s youth. I get to try the new phones, shoot some hoops, enjoyed a free donut and coffee and have my face painted. Aside from various booths, the event was also attended by LG L Series III ambassadors Keifer Ravena, Thomas Torres, Andre Paras and Maxene Magalona. The handsets clearly target teens and young professionals with its hip features while maintaining LG’s classic and sophisticated style. LG Mobile Philippines Product Marketing Manager Variane Faith Mijares introduced the features of the new LG L Series III, including the Knock Code technology as well as smarter features, which I love and will be discussed below. It was worthy to mention that the price range was very affordable and you will get more from you will be paying for. Without further ado, below are the 10 reasons why you should buy the new L40, L70 and L80 smartphones from LG. I easily took notice of the design and aesthetics of the new LG L Series III smartphones. 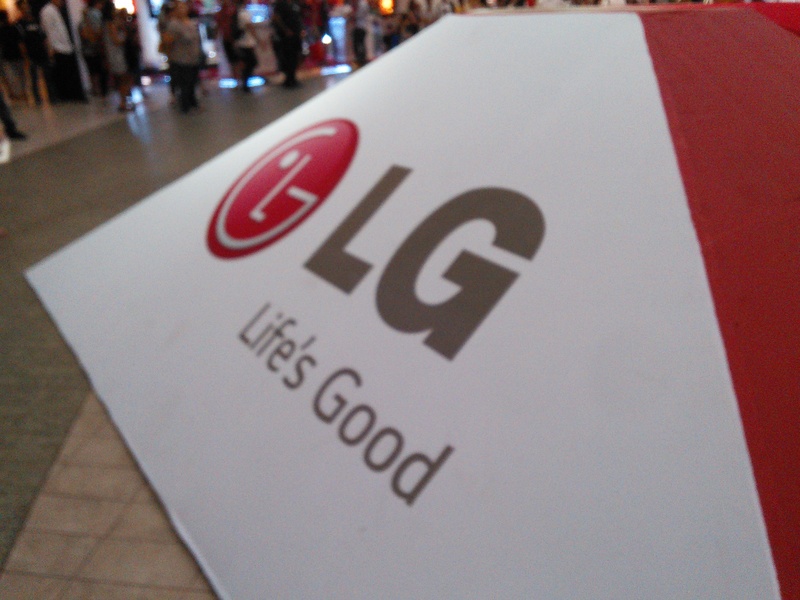 As I was going through the LG Experience booth at the event, I was impressed by the slimmer built of the handsets. Even the L70 with a bigger screen display, the handset is thin enough to be held in one hand. The new phones were available in two colours, black and white, which give off a vibe of class. Another plus point to this mid-range smartphone line is its metal casing. The mobile phones are housed in a metal frame that adds durability and protection to the handsets. LG’s rival Samsung skipped off this particular feature when it released the Galaxy S5. All three devices feature a True IPS screen display. This feature is usually packed in high-end monitors. This gives users better, if not accurate, color representation as well as better viewing angles. Apple and Samsung make use of this feature in their flagship devices. All three handsets were equipped with dual core processor clocked at 1.2GHz. This gives LG the edge over its competition. This is justifiable given that the company’s premier line LG G Series were running with quad core chipsets. Some people can never have enough space in their devices as these were usually loaded with photos. LG knew this dilemma and brought in a bigger internal storage of 4GB, which can be further expanded up to 32GB through a microSD slot. LG Mobile knew the importance of security and packed the new Knock Code technology, wherein users can lock and unlock their phones through a personal combination by tapping on the different parts of the screen. Moreover, the smartphones also feature Guest Mode that allows users to create a separate profile when another person is using their phone. This gives added protection to the owner’s privacy. I was amazed that LG Mobile packed the latest flavour of Android OS in its line of mid-range smartphones. Indeed, one of the booths in the L Park event is courtesy of Kitkat where I was able to enjoy a quarter of a bar of their Chunky Peanut Butter. LG is one of the few mobile manufacturers to feature the said mobile software in its mid-priced units. I took an ample time tinkering on the L70 during the LG Experience. I was enthralled by the smarter features sported by the new LG devices. The L70 model offers Plug and Pop feature, which immediately shows the apps you may need when you plug either the USB cable or the earphone jack. Moreover, the handset also boasts the Capture Plus, which I loved the most. I often find myself wanted to save an interesting article I found on the Web. With Capture Plus, users can save the webpage and view it offline. Lastly, the handset also has a Quick Memo that allows users to doodle on screen. This is perfect for busy young professionals like me. 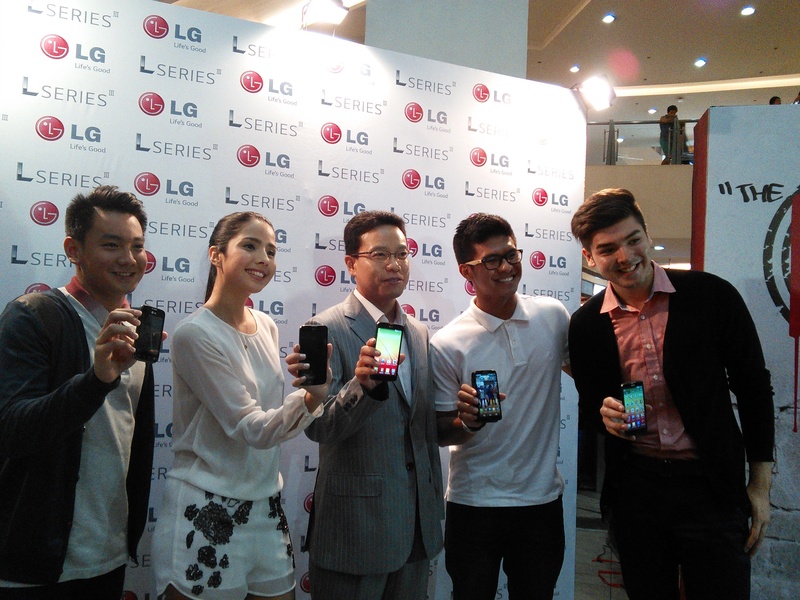 VP for LG Mobile Philippines Lawrence Kim with LG L Series III ambassadors Kiefer Ravena, Thomas Torres, Andre Paras and Maxene Magalona. All three models come with dual sim capability. Users can configure alert tones for each SIM card according to their preference. The best thing about these devices is that they are offered in pocket-friendly prices. The L70 is priced P8,490 and the L40 costs P4,790. 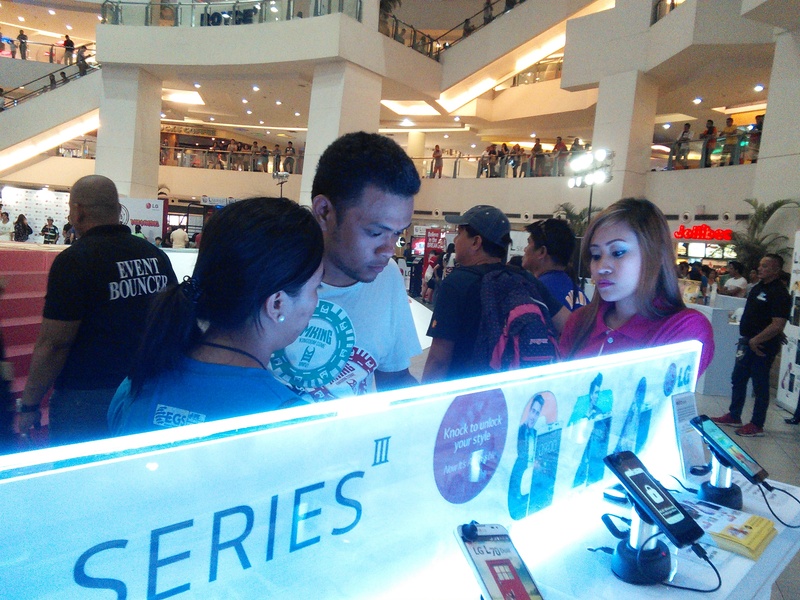 During the event, buyers were able to enjoy a P500 discount on both handsets plus a free toy from KakaoTalk. You truly get value from your money. My face slightly scrunched up at the performance of the camera. The L40 has no front facing camera and packed a mediocre 3MP at the back. The L70, on the other hand, may have packed a 5MP back cam but only has a VGA camera on the front. I have seen better rear shooters than these. Also, I was a bit worried of the battery life of the devices. Yes, the L70 packed a 2,100 mAh battery capacity but with all of its power-hogging features, one may need a power bank every time. Verdict: Grab a unit now!